Life is one big balancing act and gardening is no different. Maintaining the correct amount of water determines how well your plants will grow. Water is the most important part of life on earth and growing vegetables cannot survive without water. For gardeners there are many ways to keep your plants hydrated properly. The question is what is the best way to water a vegetable garden? 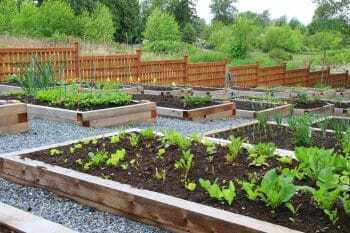 There are many ways to water your vegetable garden and here are few tips to follow to water your garden correctly. Water early in the morning when sunlight is weakest, the ground is coolest. Watering in the evening can attract insects, fungus and disease when soil is warm and wet foliage. Water deeply less often so the water can reach the roots. Avoid watering lightly and often because the water will not soak deep enough into the roots and dry out faster. Do not water your garden from above on to the foliage. Water at the base of a plant to avoid fungus growth. Water from overhead may never actually hit the ground because the foliage may block out the water. Use soaker hoses to water vegetable gardens. Soaker hoses and soaker systems provide a constant slow drip that keeps the soil moist, but not overly watered. Do not use a regular hose and nozzle for water plants. Use a watering wand to water vegetable, annuals and perennials. These wands have better flow control and are gentle on the plants. Water container gardens regularly, once a day during hot and dry spells. Test your soil by sticking your finger into the soil. If it feels dry all the way to about 2 inches deep, then it is time to water. Choose the best pot for your garden. Some pots hold heat, so the confined soil dries out faster than garden soil does. Layering garden beds and containers with several inches of mulch, which cools soil, and retains moisture. Watering your garden is not very difficult, but does take a little bit of effort. The payoff is having a great yield to harvest. There are more ways to keep your gardens irrigation needs met and maintained. Having a garden landscaping professional company help set up your drip systems and soakers hoses will give you piece of mind and better vegetables.